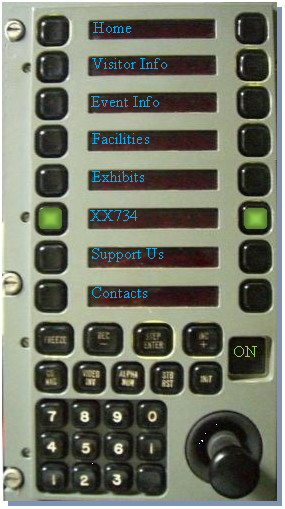 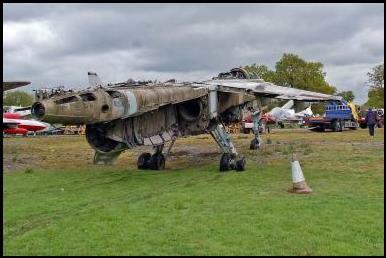 XX734 at the Gatwick Aviation Museum. 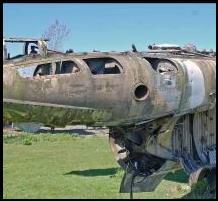 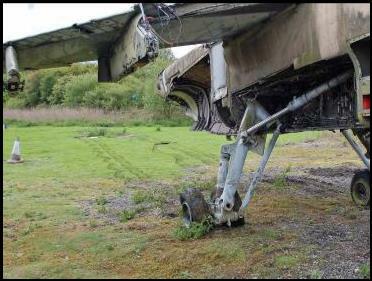 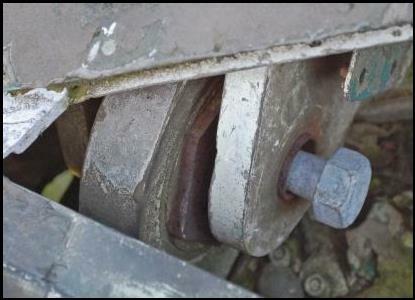 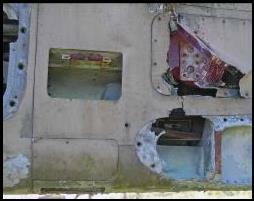 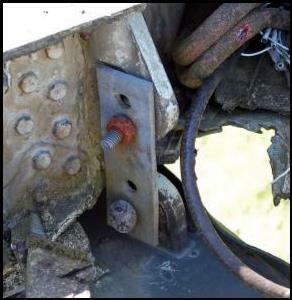 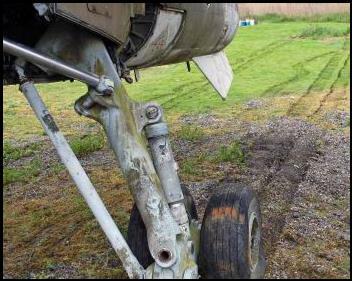 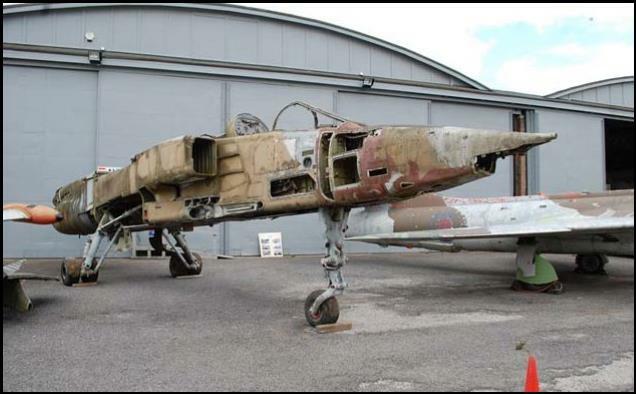 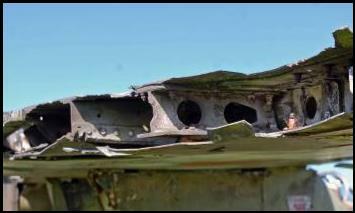 The pictures show the condition and some of the damage that the aircraft has suffered over the years that has to be repaired. 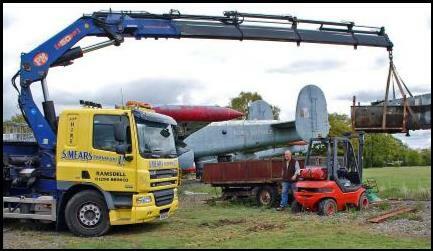 The Hiab would bog down in the soft ground by the Jaguar. 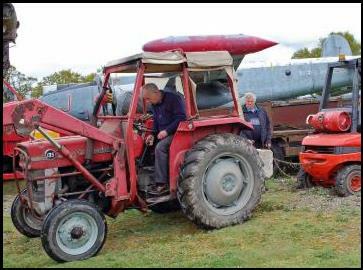 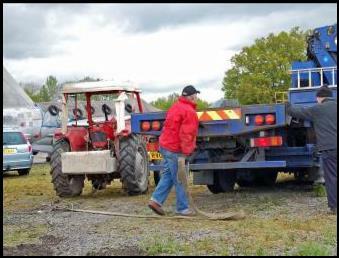 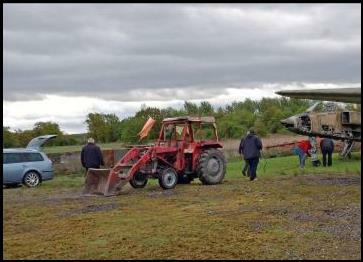 The tractor could not pull the aircraft to firmer ground. 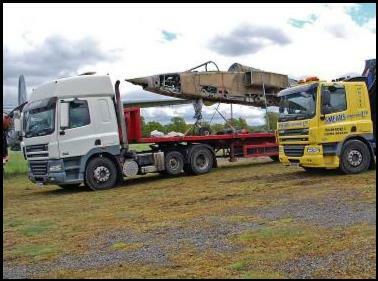 It took one of the recovery lorries to successfully move it, flat tyres and all! 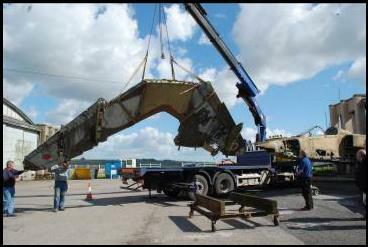 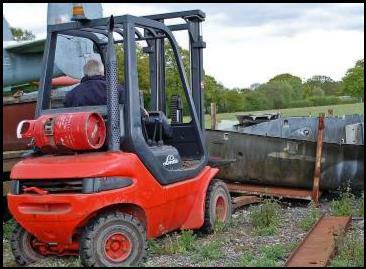 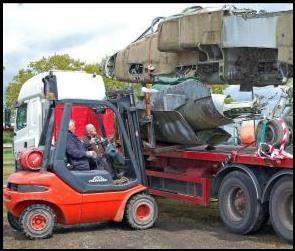 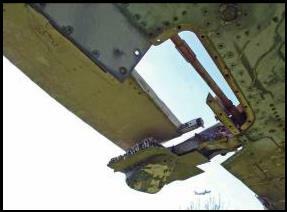 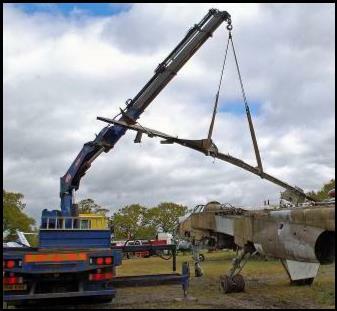 Having earlier removed the four wing 'bolts' the Hiab easily lifted the wing assembly from the aircraft. 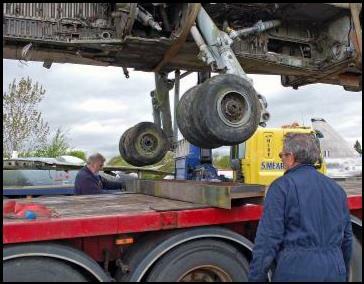 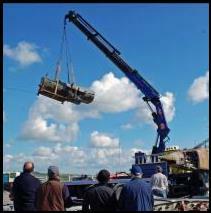 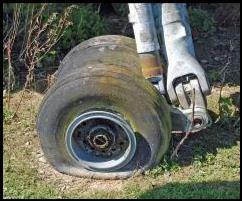 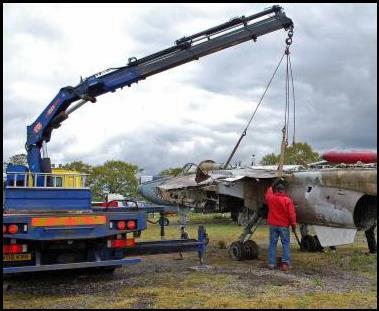 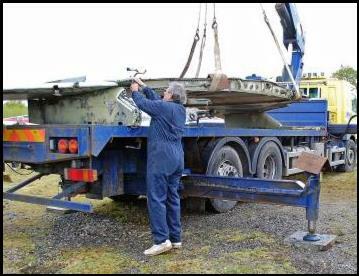 The fuselage was lifted onto the other lorry, the main wheels fitting into a pre-manufactured holder. 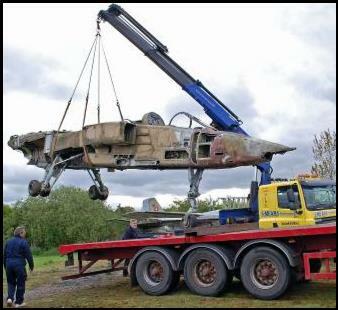 Once lashed down it was not going to fly on the motorway. 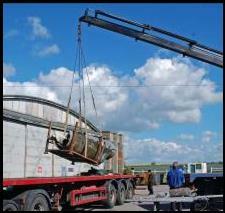 Once the pallet of panels was loaded the aircraft was ready for a last trip. 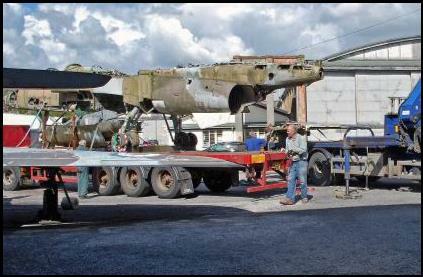 Boscombe Down Aviation Collection at Old Sarum is the destination. 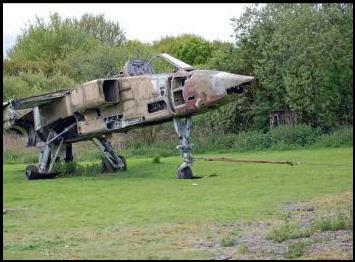 The Jaguar 'has landed' .................. flat tyres and all! 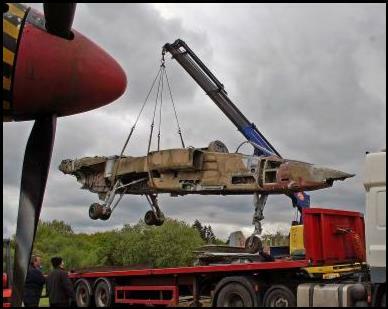 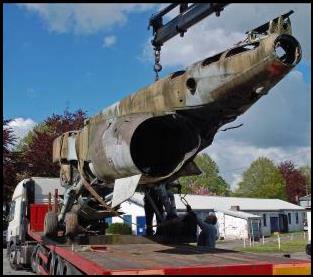 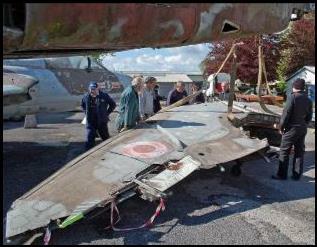 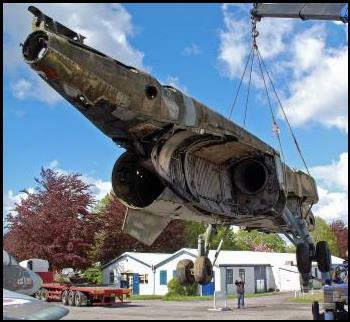 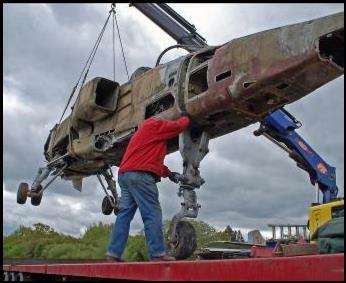 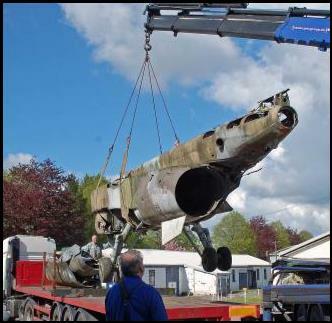 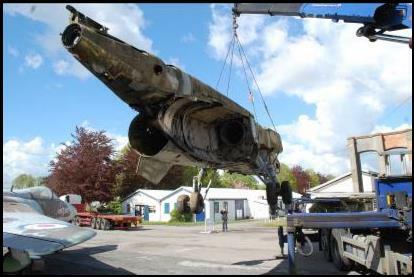 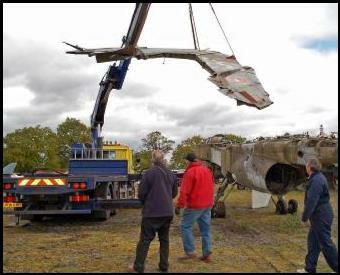 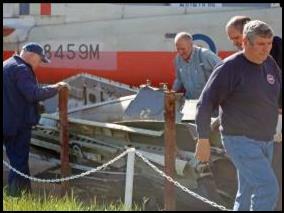 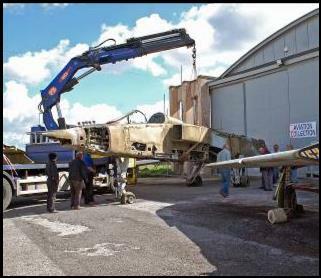 The Jaguar and all the bits are recovered to Old Sarum. 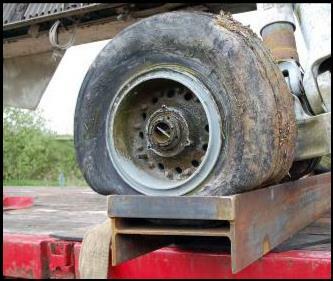 A day later and some of the panels are back on and the tyres are inflated.